Steve Winwood (vocals, guitar, piano); Paul Booth (flute, saxophone); Jose Neto (guitar); Richard Bailey (drums); Edwin Sanz (percussion). 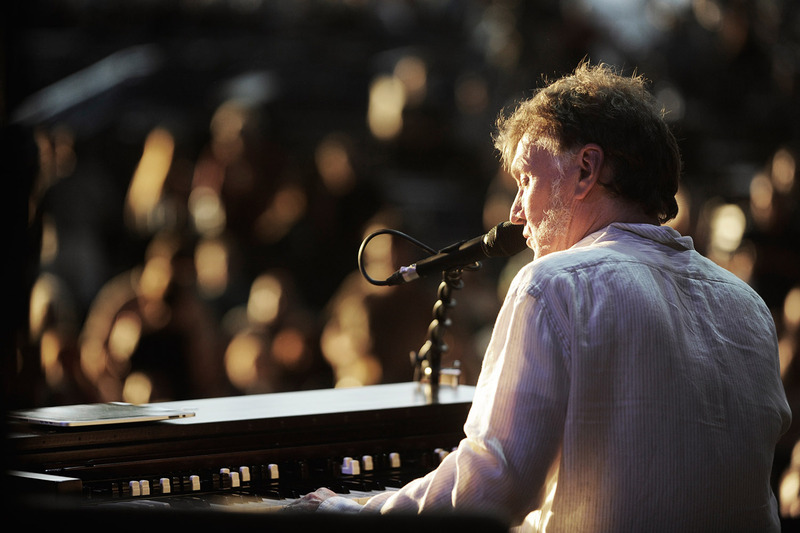 Singer, keyboardist and multi-instrumentalist Steve Winwood is only 68 years old. That's hard to believe until you realize he was only 14 when he joined the legendary Spencer Davis Group. At that time, Led Zeppelin guitarist Jimmy Page described Winwood as the greatest musical talent he had ever encountered. As a teenager Winwood wrote hits like Gimme Some Lovin’ and I’m A Man. Later he was a member of well-known pop groups like Blind Faith and Traffic. Winwood's breakthrough as a soloist came in 1980 with his second album Arc Of A Diver which contains the huge hit While You See A Chance. The Englishman, currently based in Nashville, continued to deliver 5-star albums in the years that followed, and had hits with numbers like Valerie, Higher Love and Back In The High Life. Winwood, whose last studio album Nine Lives was released in 2008, is bringing a top-class band with him to Rotterdam.